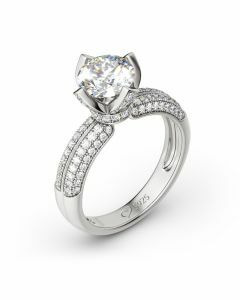 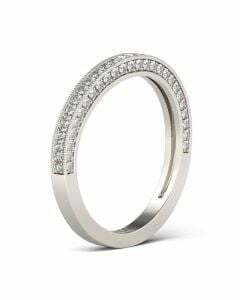 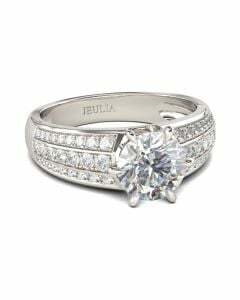 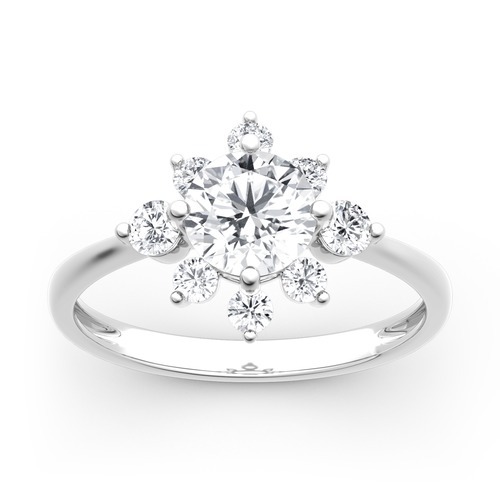 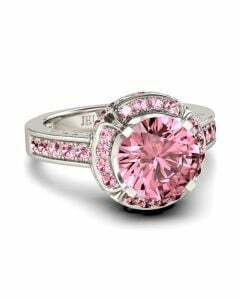 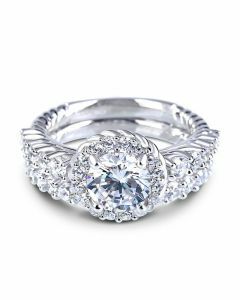 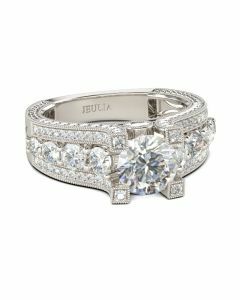 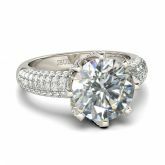 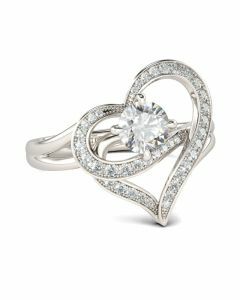 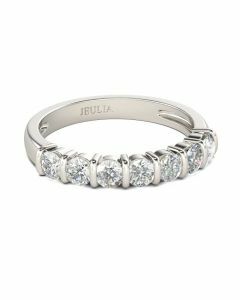 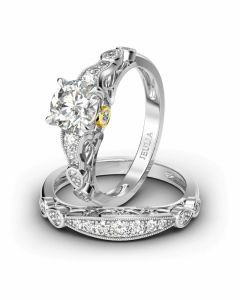 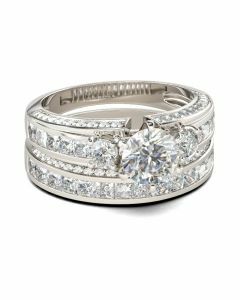 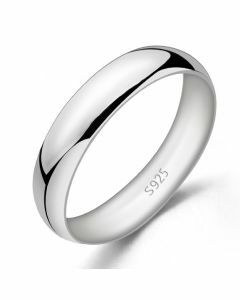 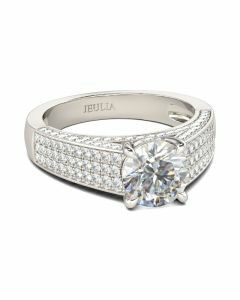 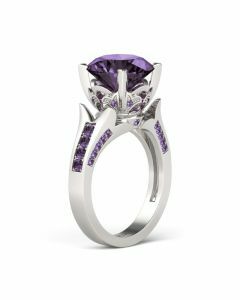 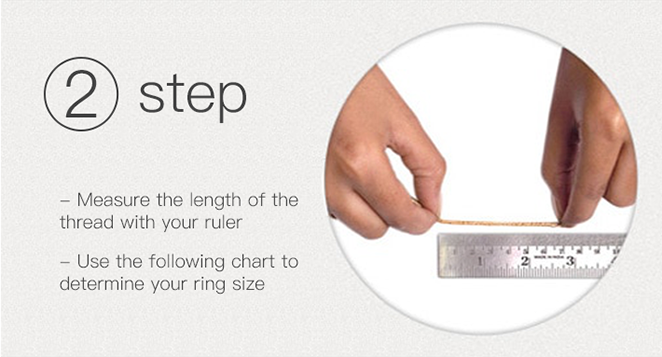 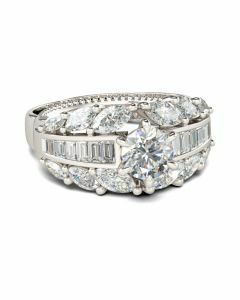 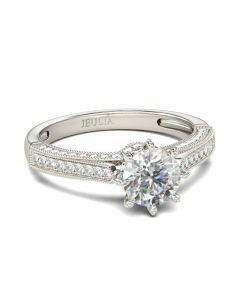 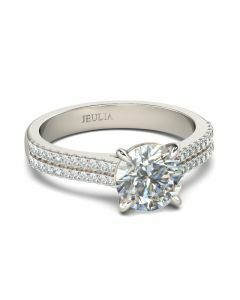 Indulge the one you love with this beautiful engagement ring. 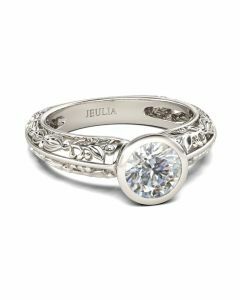 Crafted in sterling silver, this elegant design showcases a sparkling round cut stone in a unique petal setting. 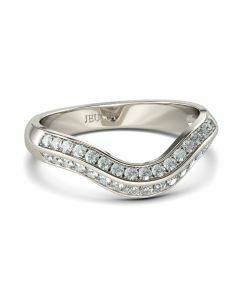 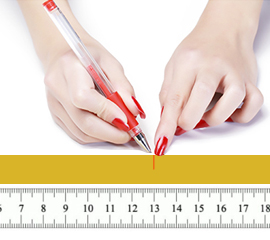 Rows of small stones adorn the shank to create more unconventional beauty. 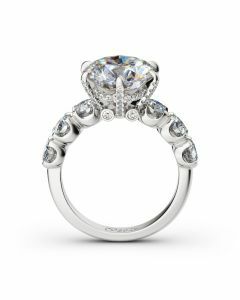 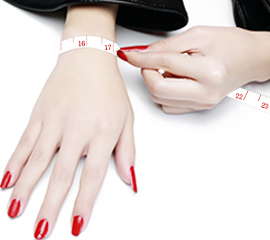 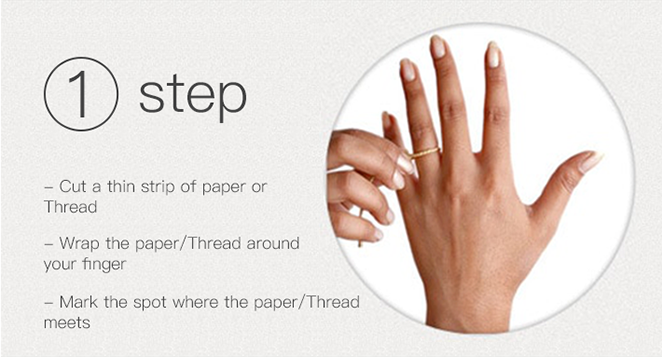 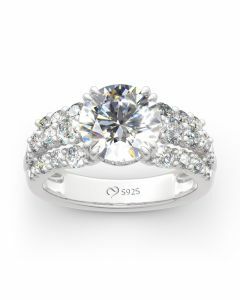 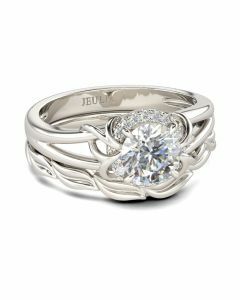 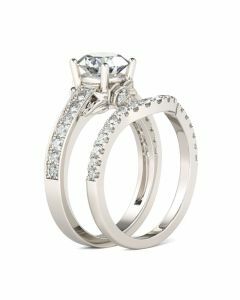 Buffed to a brilliant luster, this engagement ring is a brilliant expression of love.